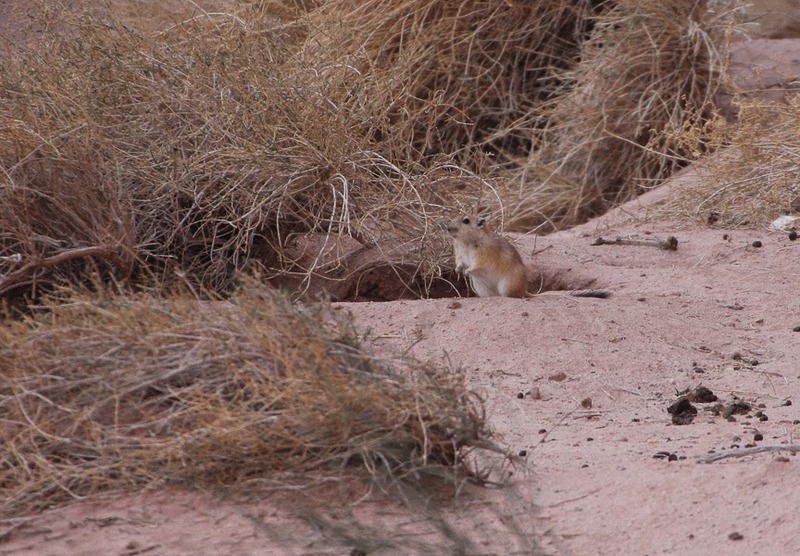 The Fat Sand Rat Psammomys obesus is a stocky, gerbil-like rodent, native to desert regions. Its upper parts are reddish-brown, reddish, yellowish or sandy buff and the underparts are yellowish, buffy or whitish. The subspecies that lives in Saudi Arabia is P. o. dianae. The sturdy limbs bear blackish claws and the short, stout tail that is fully haired and has a black terminal tuft. The small, rounded ears are covered with dense whitish to yellowish hair. This species communicates through high-pitched squeaks and by drumming its feet. They have a total length of 25.1 - 35.6 cm with a tail length of 10 - 15.7 cm and weigh 32-43 grams. They are found in North Africa and the Middle East and have been recorded in Mauritania, Morocco, Algeria, Tunisia, Libya, Egypt, Sudan, Israel, Jordan, Saudi Arabia and Syria. They inhabit deserts, semi-desert, rocky habitats and grasslands, provided that succulent shrubs, on which the rat feeds, are present. They live in colonies in complex burrow systems, which have separate areas for nesting and the storage of food. 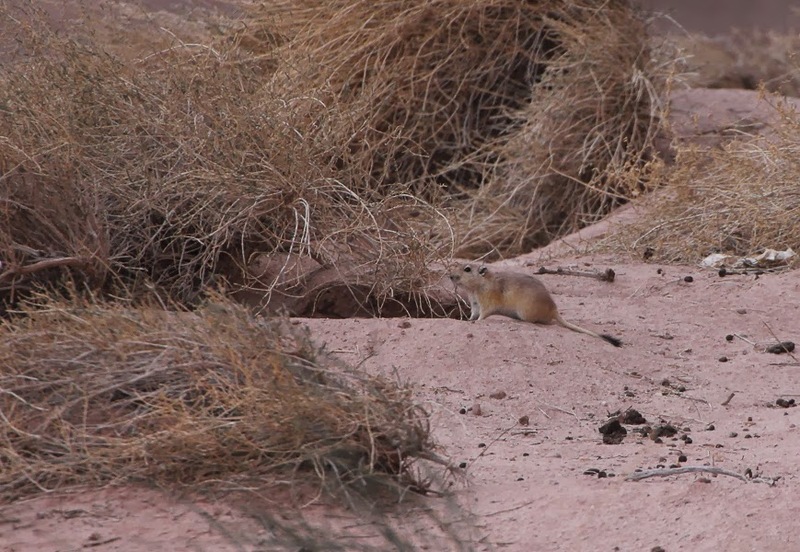 Compared to other members of the Muridae family (the mice, rats and gerbils), the fat sand rat is rather unusual as it is diurnal and wholly herbivorous; most other species in this family are nocturnal and feed primarily on grains. In winter their main activity is during the day, but during the summer months they prefer the shade and can be found inside the burrow or in the shade of the surrounding bushes. Its diet consists of leaves and stems and, unlike high-energy seeds, these foods are rather low in energy. As a result, it has to eat around 80 percent of its body weight in food each day to obtain sufficient energy. 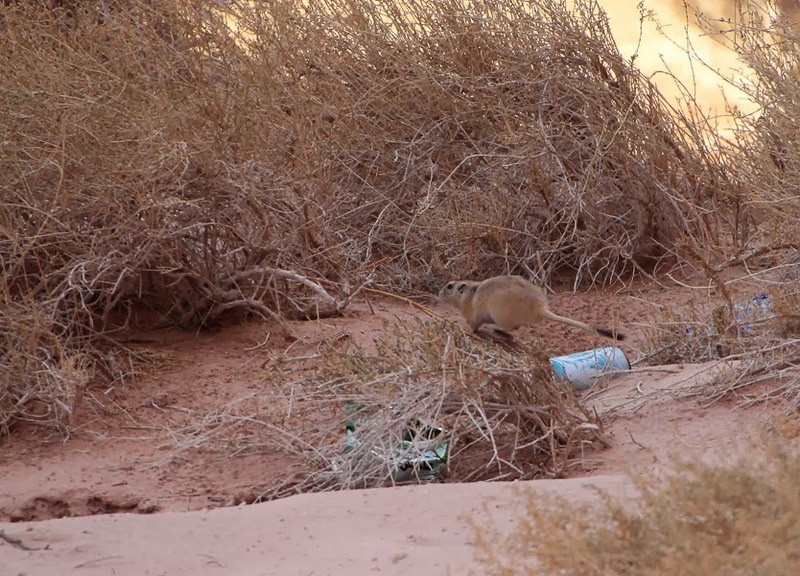 The fat sand rat does not need to drink water, a useful adaptation in arid habitats, and instead can get all the water it needs by feeding on the leaves of the saltbush which are up to 90 percent water and licking morning dew. However, this water has an extremely high concentration of salt, and so the fat sand rat must produce very salty, concentrated urine in order to expel the salt from its body. I think it is a jarboa.